I’m one of those freaks that actually enjoyed the 1998 Godzilla film. I was 12 at the time and I didn’t know any better. I’m older now, as most people are inclined to do, and I’ve gone back to watch it, I’m sorry to say I still like it. Since that trip to Virgin Cinema for Nick Sharpe’s birthday back in 1998 I’ve loved everything about the concept about big monsters tearing up a city. Perhaps it’s down to my middle class habit of suppressing all emotion makes me want to Hulk up and kick down the Empire State Building, or perhaps big monsters punching cardboard buildings is cool. Either way, Kaiju (Japanese name for big monsters) are cool, I gobble up any games featuring them like the creatures in Rampage chewed on people. 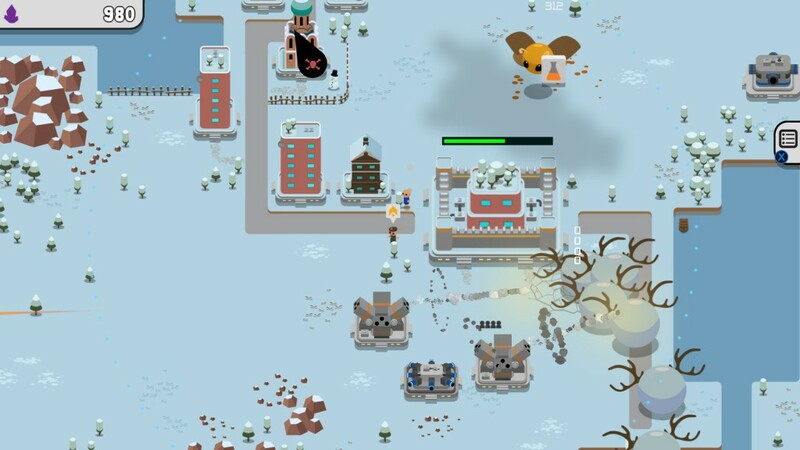 Kaiju Panic brings a new style to the setting, a Tower Defence / Real Time Strategy game. When you think about it, its kind of amazing that this RTS Kaiju game hasn’t been done before, but often that’s the ideas that stick so well. On it’s face you are a person dropped into various locations with the goal of stopping a myriad of various monsters from attacking your town or city and in particular saving you main base of operations. To aid you in this you must first attempt to locate and then mine giant purple rocks that have come down from space. Once you’ve collected enough you can then spend your purple gems on resources like weaponry, better mining equipment or something simple like a blockade. Once you’ve started mining for the purple resource they pop out on the floor like spilt rice requiring you to run around sweeping them up into your pockets, this aspect of the game causes no end of tedium. Kaiju come from all directions on a map and the only prep you have is an icon floating in the direction they’ll be coming from, unfortunately you’re unable to garner how many are coming or in some cases what kind of back up they have with them. One or two of the initial red balls of bouncing death that turn up are easy enough to take out with a turret, but their bigger brothers require an acid spray to break an outer shell before they’ll take real damage. The flaw here is that often the game resorts to an almost trial an error affair where you’ll need to attempt a stage a couple of times to work out what you even need to prepare for and then you need to work out placement of turrets to ensure enemies don’t walk right through them. Mix with that the constant need to be sprinting back to your purple rock supplies to ensure that you have the currency to build the weapons on the fly and you find yourself not trying to just keep plates spinning but whittle the sticks they’re spinning on and bake the plates from scratch all the while Cthulhu wants a piece of you. All in all it’s a stressful and not always a fun experience. To give you some help in all this chaos you are tasked with searching for a recruiting people to help your cause. Often you can just walk up to a random joe hanging out in the town you’re saving and they’ll follow you around like you have gold in your pockets. Sometimes though they need some persuasion in the form of saving their kitty or dog first and then convincing them to come with. These people, as well as being good cannon fodder if you’re a jerk, also can hop into most of your armaments and provide a significant boost to their attack capabilities. Obviously though, hunting down people is another element you have to keep track of whilst trying to save the world. At this point I would often wonder why they put the whole of the worlds defenses into my hands, shouldn’t there be a committee or a team dealing with this? It seems odd that one bloke would be required to mine, build and maintain all aspects of the world defence. I reviewed the Xbox One version of the game and apart from some minor confusion on my part early on about how to place weapons down the control scheme works amazing well for a console RTS/Tower Defence game. With a series of radial wheels at your disposal you always feel in control of the action and can, after a bit of playing, often find what you need with muscle memory alone. Aesthetically the game has an amazing style to it. The design of the whole product is a hight point of the experience with the game. 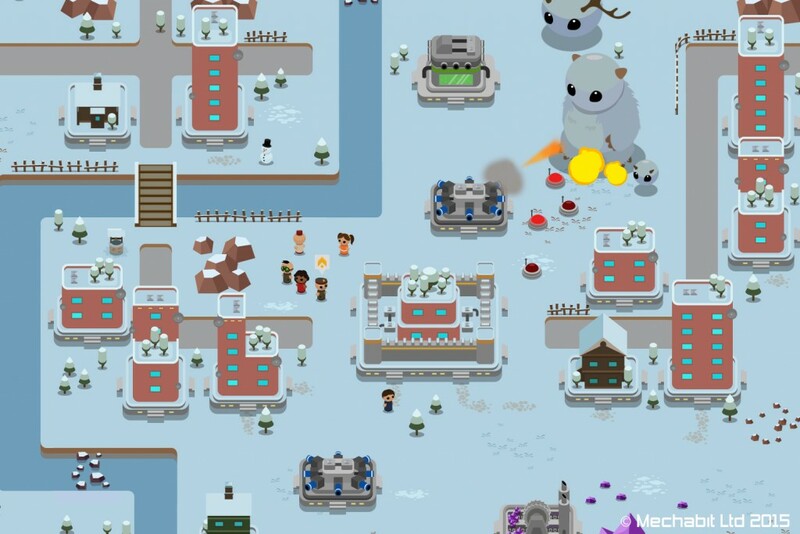 The cute monsters, people and world on a whole really meshes well and is a pleasant change from how most RTS games go. The only down side is the main menu is a little lacking; this isn’t something most people will complain about but with the attention to the monsters and the world got, having a menu that is straight outta MS-DOS is a bit of a let down. Music and sound effects all do their job well maintaining the feel of the game but neither will grab you by your Mothra and make you sit up. 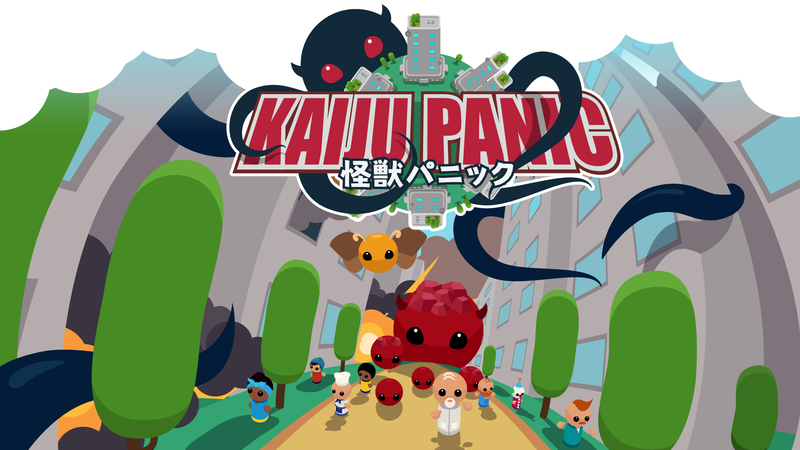 Overall Kaiju Panic is a solid game with some really interesting concepts, the problem is that there are so many concepts involved some basic gameplay elements seemed to get missed out or marginalised where they should have been built upon. 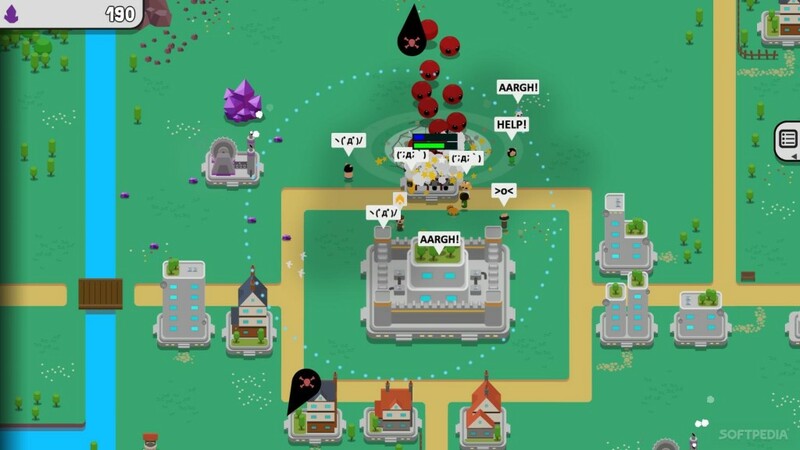 Elements you’re used to with Tower Defence games; like a clear path for the enemy or knowing what’s coming are side lined along with RTS elements like resources just sorting themselves out once you’ve got the basics down. It’s not right to say this game is a Jack of all trades and master of none, certain aspects work really well and when the game and you, the player, get the balance right the feeling of satisfaction and enjoyment are astronomical but the minute to minute gameplay of Kaiju Panic can easily stress you and cause more confusion than fun. Next Post Is It Time To Close Down Open World Games?